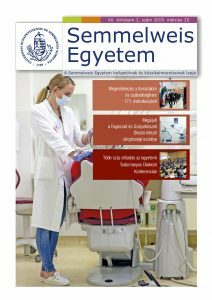 Students may visit the sports facilities of the Semmelweis University and the swimming pool of ESMTK in Budapest free of charge if they show their valid student card during the year. Students may use the sports hall and the open air sports grounds of the Physical Education and Sports Centre in Zágrábi Street but it has to call the reception (or write an e-mail: sportkozpont@semmelweis-univ.hu) and check in beforehand. Students can use the sport facilities but it depends on the free capacity of the facilities. Medical students of the Semmelweis University and the students of the PhD Schools of the Semmelweis University may use the sports hall for two hours everyday if the gym has capacitiv if the students show their valid student cards. If students would like to use the sport facility for more than two hours than they must pay 50% of the price of regular sport service charge. The new sportfacilities (tennis and football) can be used by the students for 50% of the price of regular sport service charge. address: 1107 Budapest, Zágrábi Street. 14.